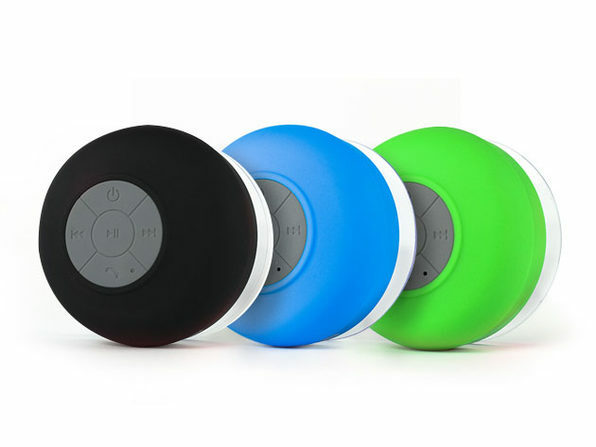 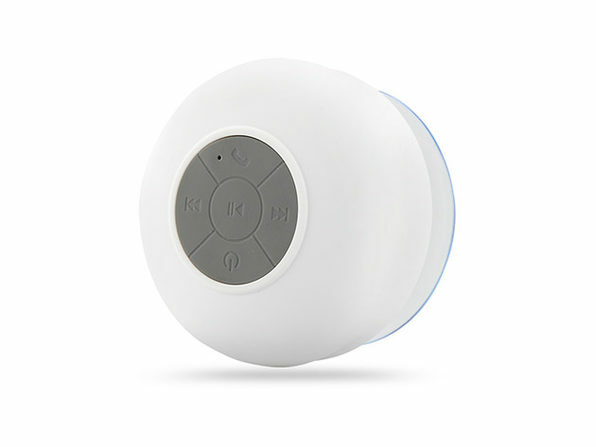 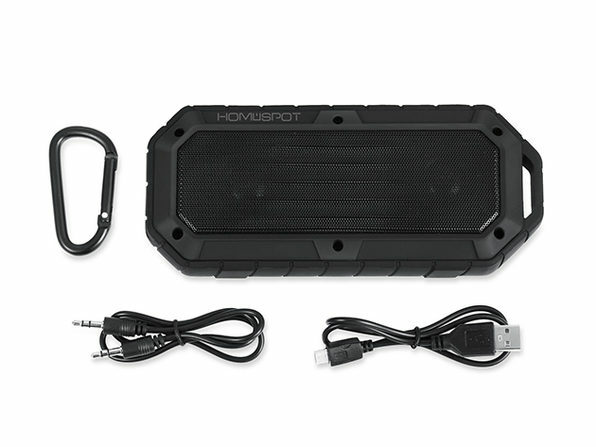 This Weather-Proof Speaker Brings Powerful, Quality Sound Anywhere - Even the Great Outdoors. 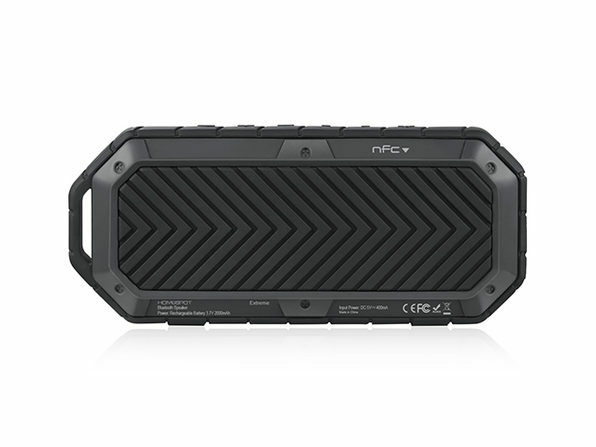 This rugged, weather-proof speaker was built to keep up with your adventures. 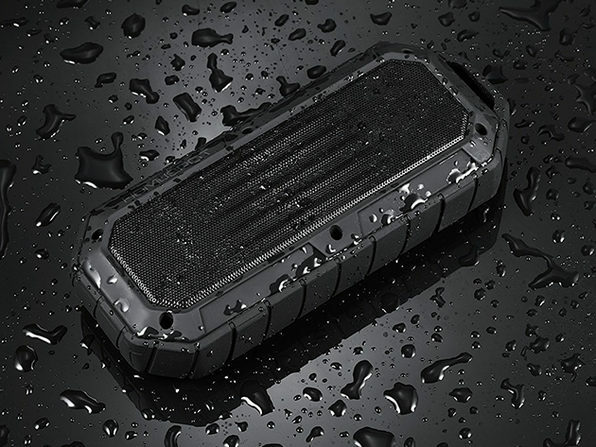 It deflects dust, dirt, and water - and is coated with a rubberized surface that you'll feel comfortable bringing camping, rafting, and beyond. 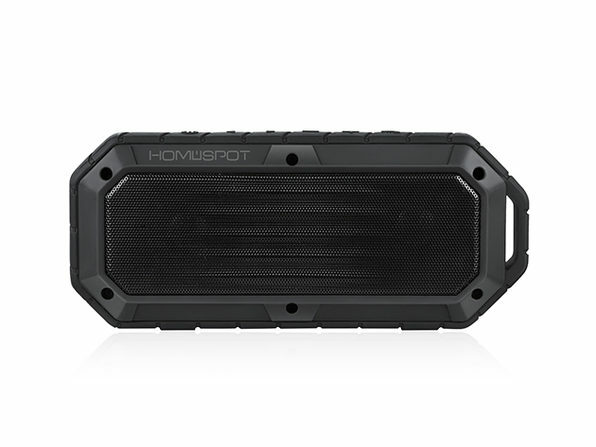 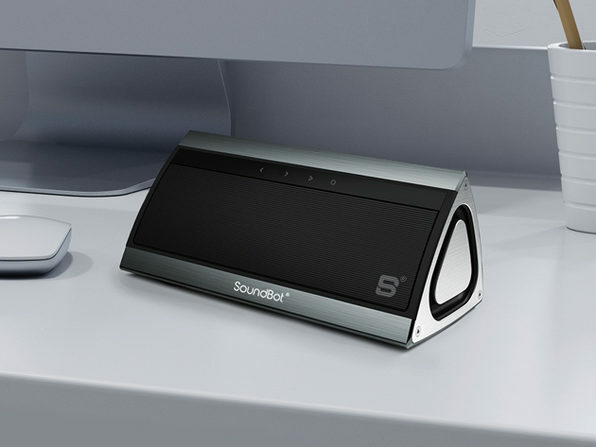 Best of all, this speaker truly delivers powerful sound that will fill even outdoor spaces with impressive audio.  Dimensions: 8" x 4.4" x 1.8"